Rubber Library | Collection of sources of technical information about Rubber and Plastics Polymers for reference. When it comes to your product, you are the expert. When its time to learn about rubber, you come here. Rubber Library – Your Resource. Rubber library is your online resource for all things rubber. Here you can research different types of rubber, identify the properties of rubber, learn about the society that sets standards for rubber, and explore the tests used to confirm that those standards have been met. If you are new to the space, rubber library will help you get familiar with all the jargon. 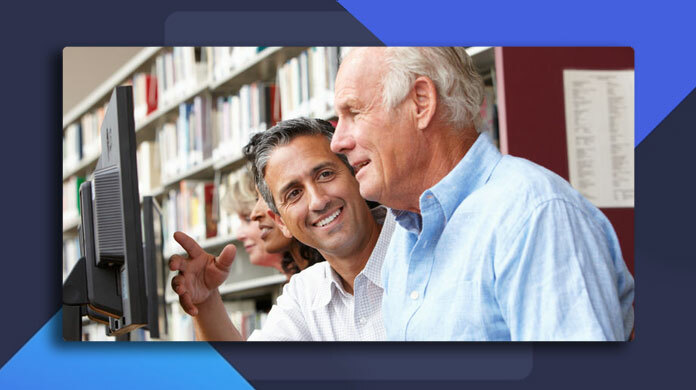 Then, you can confidently reach out and explore your unique application. Open cell foam rubber is a material that is soft and spongy in nature and texture. It is made by introducing an inflating agent into the rubber compound which expands during vulcanization. Foam is called “open cell” when more than half of its cells are open. Open cell is different from closed cell in that its structure is visible to the naked eye. It also rebounds back to its original shape much faster. With open-cell foam, the tiny cells of the foam are not completely closed. They are broken and air fills the “open” space inside the material. Therefore, cell foam is generally more flexible than closed cell foam and can more easily conform to sealing applications. It can be less durable than closed cell options, though. This material is recommended when the item will be repeatedly compressed yet must retain its original shape. 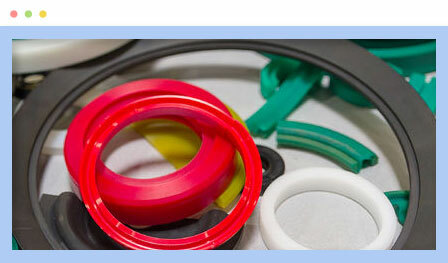 It can be made into a variety of different gaskets and seals. Closed cell foam is defined as a cell totally enclosed by its walls and not interconnecting with other cells. 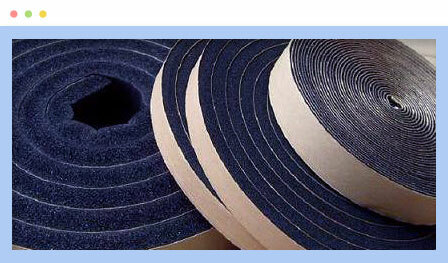 Closed foam sheets are usually made by introducing a rubber compound to a gas, such as nitrogen, under high pressure. 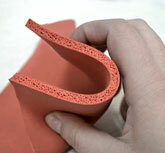 This type of foam may also be made by incorporating gas-forming materials into the compound. The advantages of high density closed closed cell foam compared to open-cell foam include its strength, higher R-value, and its greater resistance to the leakage of air or water vapor. Closed cell foam is; however, denser, requires more material, and is more expensive. Both types of foam are commonly used in construction applications and the choice for which to use can depend on many factors. For example, you typically would not use open-cell foam below grade or in flotation applications where it could absorb water where material from a closed cell foam insulation roll would be ideal. Closed cell rubber can be ideal for sealing as it effectively reduces liquid and gas flow. It is also ideal in industries in which liquid resistance is critical, such as marine waterproof gaskets, HVAC, and automotive where the use of closed cell foam gasket material is very common. Solid Rubber and Plastic Sheeting. Solid rubber is useful in applications where there will be high levels of abrasion and stress, or when resistance to permanent indentation is necessary. It has almost all the same properties as foam rubber except without the cushion created by air. While foam rubber has bounce and cushion, there are some applications that better benefit from the more durable, resistant solid rubber. For example, creating a gasket or seal with solid rubber will make a durable, leak-proof seal, but will not absorb as much impact as a product made from an open or closed cell sponge. Solid rubber of all types is very versatile and carries natural resistant properties. Some, like natural gum rubber sheets, are great for use as general sealing materials. Others, such as a silicone sheet rubber, are meant for specific applications involving very high or very low temperatures. These can also be made with EVA which is an extremely elastic material that can form a porous material similar to rubber, yet with excellent toughness. Solid rubber sheets are commonly found in shock absorbing and anti-vibration padding, seals and gaskets in high-stress applications, cushioning and bumper pads where parts impact one another, and protective surfacing used to protect commercial equipment from aesthetic and comprehensive damage. 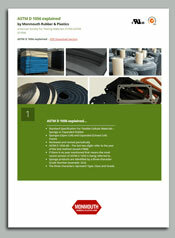 Sheeting rubber products are most often sold in rubber rolls. Neoprene is one of the most versatile materials in existence. It represents is a family of natural and synthetic rubbers that exhibit chemical stability and maintain flexibility over a wide temperature range. It is sold either as solid rubber or in latex form, and is used in a wide variety of applications, such as laptop sleeves, orthopedic braces, electrical insulation, membranes or flashings, and automotive fan belts. Neoprene is also used to make hoses, foam gaskets, neoprene foam insulation and a full array of corrosion-resistant coatings. 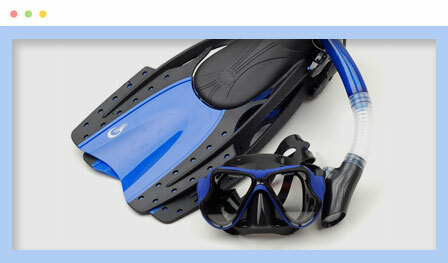 Neoprene is probably best known for its application for use in protective clothing for aquatic activities. 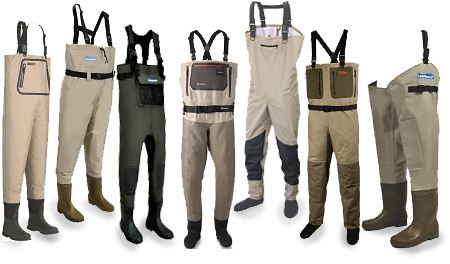 Closed cell neoprene foam is commonly used to make fly fishing waders and wetsuits, as it provides excellent insulation against cold. It resists degradation in a full range of temperature and other outdoor conditions, maintaining integrity while in the sun, ozone, cold, or inclement weather. Neoprene also works well while in contact with a large range of chemicals and oils, making it useful even challenging industrial conditions. In solid sheet, open cell, or closed cell forms, it retains its chemical- and weather-resistant properties. Recycled products have price and environmental advantages over synthetic rubber. They can be more cost-effective than products made of synthetic rubber and are eco-friendly because their production takes non-biodegradable waste out of the environment. Recycled rubber and plastic foam is a product made from waste pieces from the prime manufacturing process of closed cell sponge rubber and plastic foam. The off-fall (scrap) materials from the prime manufacturing process are collected. They are put through a size reduction process to produce ground particles of a controlled size. These ground particles are put into a mixer with binder liquids, blended and put into a high pressure steel mold for forming. The cured recycled bun is then split (skived) in to specified thicknesses based on customer requirements. Recycled rubber sheets can be made with a high level of slip-resistance, shock absorption, and longevity in outdoor conditions. 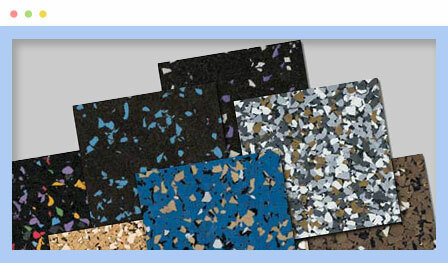 They can be used in many applications from padding to underlayment and can handle the most abrasive conditions. Recycled hard rubber can also exhibit a high level of protection against UV rays, ozone, and wear. While recycled rubber products are great for many uses, they lack the chemical properties of their synthetic rubber counterparts. Recycled rubber sheets should not be used in applications that involve oils and chemicals. Exposure to such compounds can damage recycled rubber material significantly. ASTM D 1056 is the specification that covers flexible cellular rubber products known as sponge rubber and expanded rubber, but does not apply to latex foam rubber or ebonite cellular rubber. For the purpose of the specification, the base material for an open/closed cellular product may be made of synthetic, natural, or reclaimed rubber, or a mixture, and may contain other polymers or chemicals, or both, which may be modified by organic or inorganic additives. In short, it is the Standard Specification For Flexible Cellular Materials like Sponges (Open Cell) and Expanded (Closed Cell) Foams. The standard is Reviewed and revised periodically. It dictates the tests and test methods to be performed. When looking at the specification title, the last two digits refer to the year of the test method issued, in this case 2014. If there is no year mentioned that means the most recent version of ASTM D 1056 is being referred to. Sponge products are identified by a three-character Grade Number which represent Type, Class and Grade. Accelerated aging tests – are performed on polymeric materials to understand their service or shelf life in multiple applications. Accelerated aging helps material designers, engineers and quality control personnel choose materials that will maintain their properties after exposure to heat, pressure or chemical attack over time. Compression-deflection tests -a are a method for determining relationship between compressive load and deflection under load for vulcanized rubber or, testing a material’s sealing force retention or ability to maintain elastic properties after compression. Testing is performed by measuring the thickness of the material after being placed between two platens and a specified load placed on the material. Water absorption test – measure the diffusion of water in polymer samples and is made by measuring the relative rate of absorption into the material (dependent on thickness) when immersed. This testing is helpful in understanding material performance in electrical and mechanical applications where moisture content and absorption are a factor. Density tests – measures the relative mass of the material and compares it to an equal volume of water. It assures proper ingredient levels and batch to batch consistency. The density of a material may be compared to the theoretical density of a reconstructed formulation to assure that a proper analysis has been performed. Related topic: What Testing is Performed on UL Gaskets? Oil-immersion test – gaskets, hoses and seals must withstand aggressive liquids in severe environments. This test describes the method for evaluating the effects on the rubber materials caused by exposure to standardized fuels, oils, and other liquids. 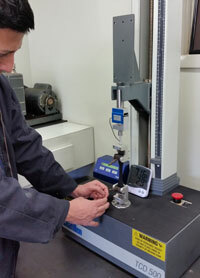 Fluid immersion tests – measures the property changes after immersion in a specified fluid for tensile, elongation, durometer, volume or weight and other failure criteria. It is important to note that shelf life relates only to the functional use of the compound over a period of time when properly stored. It does not relate to how the material may or may not perform in any specific application. Shelf Life relates to storage only. It is separate and distinct from Service Life. 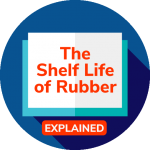 Storage conditions will affect not only the Shelf Life but also the Service Life of a specific rubber formulation.